Since 1990, we have been working with builders, architects, and individual clients to develop residential construction plans compliant with the IRC building code. Our experienced staff of residential designers is committed to providing you with a creative and accurate plan that meets your lifestyle and needs. We're not just good planners - we understand the construction process and will help you draft a plan that not only meets your needs, but follows sound construction principles as well. Whether you are looking for a custom home design, an addition or renovation design, or even a 3D photorealistic rendering, our goal is to be the first step in the right direction to achieving success. abSketches is a visual creative studio developing conceptual environments. We work closely with our clients to create high-quality visual marketing products that will help sell ideas. Using state-of-the-art software enables us to bring your vision to reality. At Tippetts/Weaver our interest is in providing excellent and unique design for a specific context and client. Founded in 1987, by principals Wendy Tippetts and Gary Weaver, Tippetts/Weaver maintains a small personal office of nine full time employees in historic downtown Lancaster. 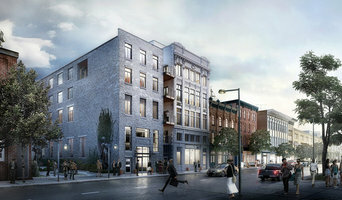 The firm currently has five registered architects, three architectural interns, and one administrative staff member. 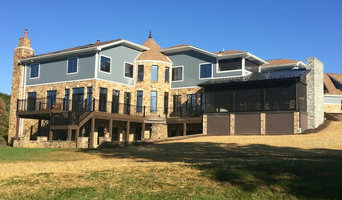 Architectural designer of new homes, additions, renovations, as well as some agricultural and light commercial projects. Established in January 2006, the firm of Michael P Dolce AIA Architect is located in the Bel Air region of Harford County, Maryland. Michael P Dolce maintains architectural licenses in Maryland and New York State and primarily serves Baltimore City and all of the surrounding counties. My goals on all projects are to work closely with the client to produce creative design solutions that meet their functional needs, spatial requirements and the construction budget. All facets of the project will be considered from start to finish, including specific client requirements, project context, sustainable (or “green”) design features, site features, views, solar orientation, zoning restraints, etc. The added challenge on addition and alteration work is to seamlessly integrate the new building features with the existing structure. I have an extensive amount of experience on these project types. I have over 30 years in the field, the past 24 years as the Lead Architect on various projects, many of which required collaboration with other professional consultants. From custom homes with the latest in sustainable design to commercial tenant build outs, I offer a combination of experience, vision and professionalism. Crockett specializes in Log, Timber Frame, Post and Beam, and SIP (Structurally Insulated Paneling) homes. Since 1973 Crockett has played a significant role in the development of the modern log and timber home industry. Crockett is experienced with creating custom or pre-packaged home designs while carrying on the classic traditions of our pioneering forefathers and meeting modern green energy design standards. Crockett is committed to our craft and to our customers in which we will continue to produce the highest quality homes in the spirit of American frontiersmen. Our experience in providing comprehensive achitectural design services has demonstrated that the quality as well as frequency of communication between architect and client is of vital importance to the success of a project. We are committed to a philosophy of simplicity, understatement, and order. Light, color, texture, proportion, scale, form, fabric, context – all are part of this clarity and the essence of this process called ARCHITECTURE. How do I find the best New Market architect for my home design project? It is best to hire a home architect who will be involved in all phases of the design process, from the initial concept to the completed construction. The architect is often the first person you will hire for your project. If necessary, they might also help you select and hire Pennsylvania subcontractors, which can include the builders, engineers and landscaper. Interior architects are also involved in negotiating contracts for all involved participants. It is for these reasons that it is extremely important for you to have a good relationship with the New Market residential architect you hire. He or she can be the tie-breaking vote between you and the general contractor and can be your biggest advocate during the construction process. Different architecture firms in New Market, PA provide different services, so the scope of the work can span from pre-design environmental impact studies to selecting furniture and finishes, depending on what your specific needs are. It is very important to hire the right professional for the job. Remember that the most well-known or established designer might not provide the best architectural services for your needs. It all comes down to the individual project. Research and ask people whose work you like for recommendations. It's important to have somewhat of an idea of the style of house architecture that you prefer, as well as the amount you would like to spend. 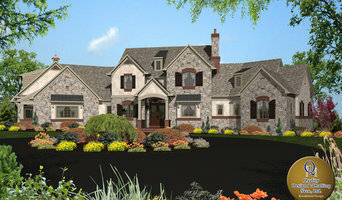 Residential architects in New Market, PA are natural problem solvers. They will assess the entire situation and help you to solve your problems too. Don't settle for a single company too early. Call and interview a few. Make sure that you feel like your personalities will mesh well and that you like their professional perspective. 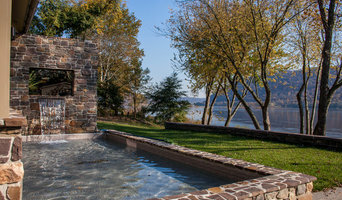 Find a home architect in New Market, PA on Houzz. Narrow your search in the Professionals section of the website to New Market architects. 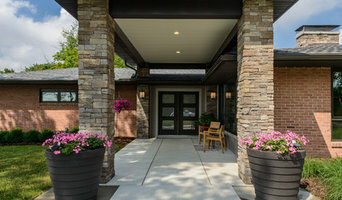 You may also look through photos of Pennsylvania projects to find interior architects and building designers who have worked on a project similar to yours.